Do you have a system to handle all of the mail that arrives? 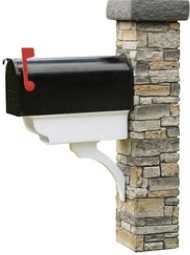 Maybe your mail basket is piled up because you just don’t have time to open your mail. Follow these steps to keep your mail under control. House Rule: Open your mail every day. This avoids the need for a mail bin. Try removing your mail bin for 2 weeks. It’s amazing how you will handle your mail each day when there isn’t a box or bin to place it into. Options for Mail: Your mail has arrived for today, now what? Option 1: Toss It: Put it in the shredder, trash or recycle bin. Sounds pretty simple? It is. The key is to have a good system in place, and to handle your mail daily. This entry was posted in Time Management and tagged mail bin, organize mail, staying on top of mail, time management mail, too much mail on August 16, 2013 by Running A Household.